By combining both the handmade bamboo bending process to the natural indigo-dyed technique normally applied to textiles, We have tried to conceive a new kind of furniture typology. Employing bamboo, which is certainly one of the highest quality in Taiwan– thanks to the bamboo forests –. 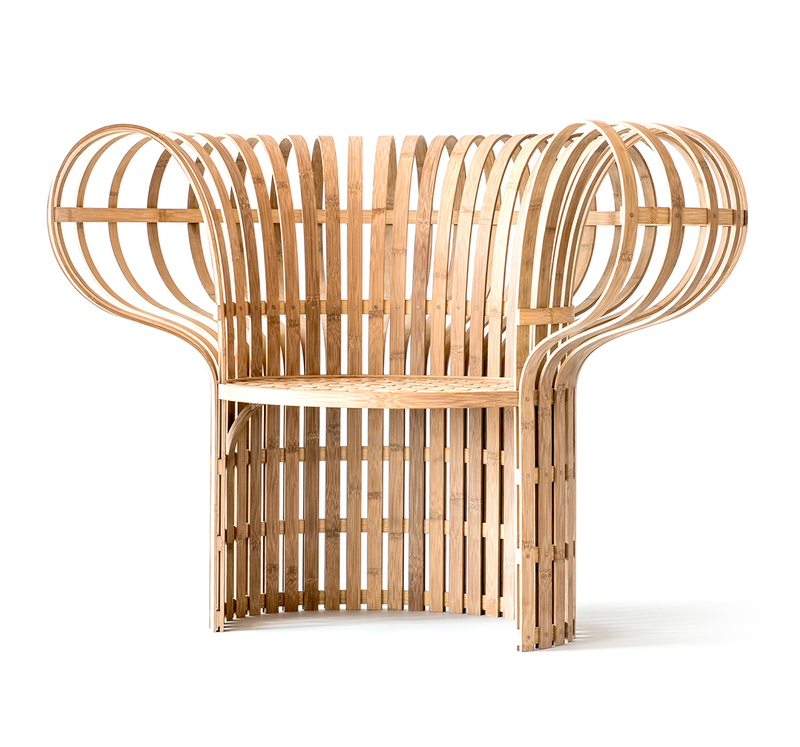 This bamboo chair is also simplified in terms of bamboo weaving and refresh the traditional look of the Asian furniture style. It reinforces the aesthetics and sustainability of the chair and introduces a sense of tactility and comfort. 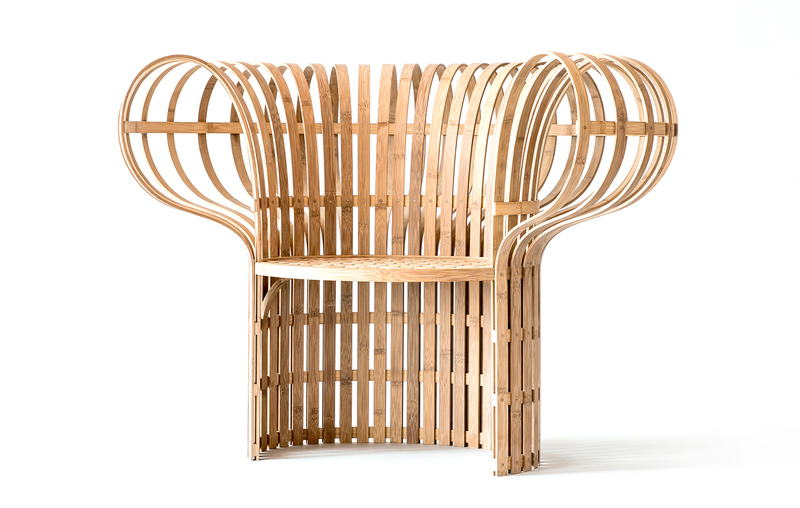 Using 1,20 m long bamboo pieces that are bended and assembled, it has a height of around 80,3 cm, a width of 114 cm and a diameter of 76,6 cm. Led by NTCRI (National Taiwan Craft Research and Development Institute), the ongoing A New Layer project and platform aims to foster new partnerships between Taiwanese and international designers and craftspeople. In 2017, the project moved into its second phase, with research and development wrapping up this month on “A New Layer II: Crafting Identities / Design Stories from Taiwan”.